Are these new imports from Europe? Do they come in turbo? Do they come in power? Order from any dealer or just the sources listed? 2019 is an exciting year for the 14! I keep looking at that page too... I still really think about getting what seems like the perfect solo boat for me. 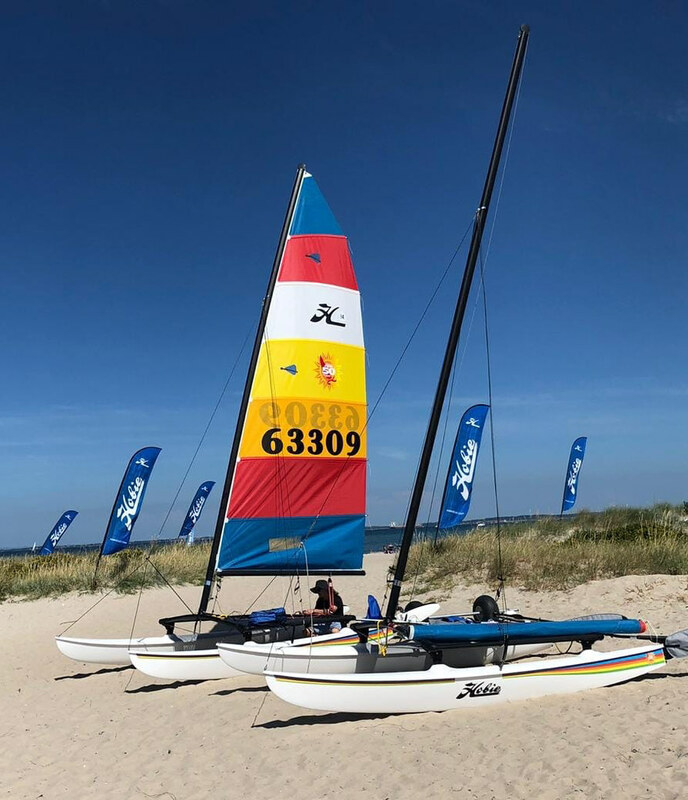 There was another thread where Hobie employee Matt said all the fiberglass hulls, including the 16’s are made in France and imported, and that the 14 could be imported, and the process started with your dealer. 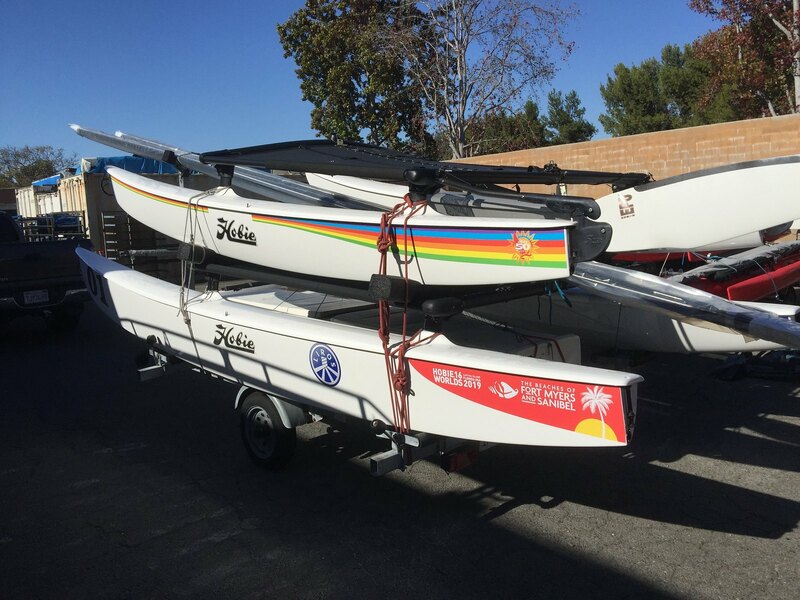 I asked my local dealer, who seemed to want nothing to do with them (14’s), told me I better hurry and call the Texas dealer if I really wanted one... the Kayak dealer I bought my Tandem Island from did try to help, but the upgrade from kayak dealer to sailboat dealer was too much for them to commit to (but at least they tried). 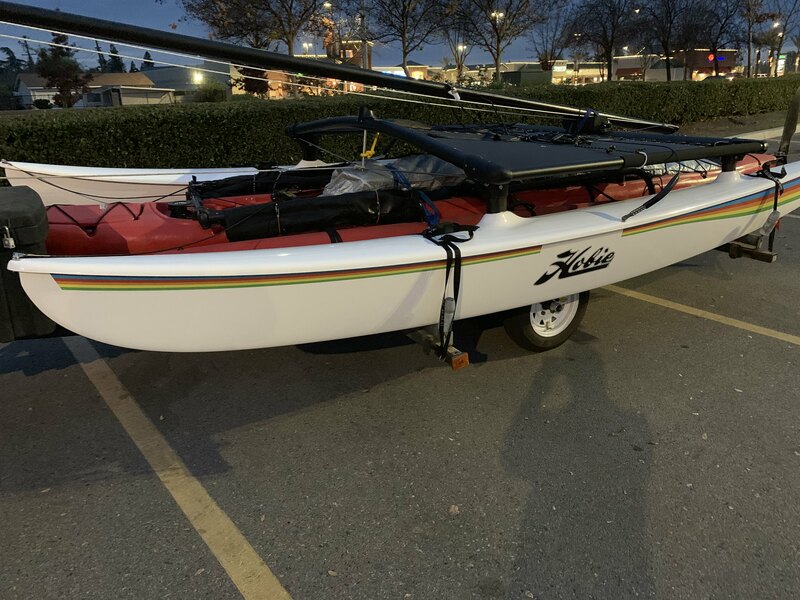 Hobie site doesnt have a list of dealers though, just the closest dealer if you put in your zip code, so finding other dealers takes a little work. Seems the Texas dealer imported one version, the race version. Not sure what Power means, but do know you can order the turbo kit but it doesn’t come with it. Power was a square top sail option, looks like it isn't available anymore on the European sites. I have imported 5 little sailboats from Europe recently, and it wasn't too hard or even that expensive to span 11 timezones. Altho they were either take-apart or inflatable and could go by air, I have shipped a vehicle by sea and it was doable. I will describe the wide variety of experiences to give encouragement. 1) 11+ ft carbon/glass monohull which nests in pieces on a pallet. After trying to find a sea/trucking solution, the US dealer found that France would send it by air for free (I would miss a price drop tho). We still used the dealers import expediter (I forget the proper term) who sent me a pile of paperwork to bring to airport freight yard. The expediter warned me how to prove I didn't need to pay any more taxes, and I fought UA and won possession in minutes. 2) A bit smaller inflato sailing dinghy from Netherlands came with modest shipping rates and $200+ duty. That cheap surprised the company owner, who had already discounted by 22% for no VAT taxes to foreigners. I had to wire the money to him which took many days with poor trackability (roll on bitcoin!) and got a rude email from customs in the middle of the night to pay that $200 now or get warehoused (credit card?). 3) A 14- ft catamaran from the Czech Republic may have been inflatable but had a ton of long heavy hardware. The US dealer was AWOL, and a competing model in a nearby state asked extortionate shipping. The Euro marketing person offered me a boatshow demo but couldn't find anyone who would ship it. I found a Prague branch of the quirky DHL (read the book about their criminal founder) who was eager to send it in kind of a ruse. I had to register as sort of a import broker with a bond, and arrive in front of a (willing) business to intercept the delivery. Again the wiring money into the void and more paperwork where I did just what they told me. Again big VAT discount, demo discount (even tho never wet), altho about $1000 shipping + duty. 4) I could only find one online source of a little sailboat which had headquarters in a nearby state. I think dealers were trying to suppress a troubled product, but after charging my paypal that one online store turned out to be in Spain! They cheerfully sent about half the product, then cheerfully sent another incompatible half upon request. I pleaded for help from near HQ which were without mercy, but Spain then cheerfully sent an adapter. I think they were used to spending a lot to please customers due to ruthless Euro consumer protection rules (raises list prices tho). They handled duties and I forget if shipping was extra. 5) A small sailboat from UK just came from a paypal and small shipping charge. Well, there was a deposit first, and several shipments for balance payments at latest exchange rates. Sort of a mess across more than a year, since a shakey startup company, but no red tape or calls from customs. I just realized the 14 Power is more than just a sail. Boom, mast base, shrouds, maybe other stuff are all different. A maxed out 14 would be pretty cool, a 14 race with turbo jib and power main. Saw these pictures of the 50th anniversery Hobie 14 as part of the celebration this weekend. Looks nice... Will it be available to order for the next year? These boats look great. I hope they are available in the US. Did you see any new 14s at the 50th anniversary? I know there was a Hobie Alter Signature 14, maybe in 1982 or so. Are there other special edition 14s? Outstanding!!! I can tune that one! Once the 2020 A Cat Worlds in Florida is behind us I'll have a brand new 14.